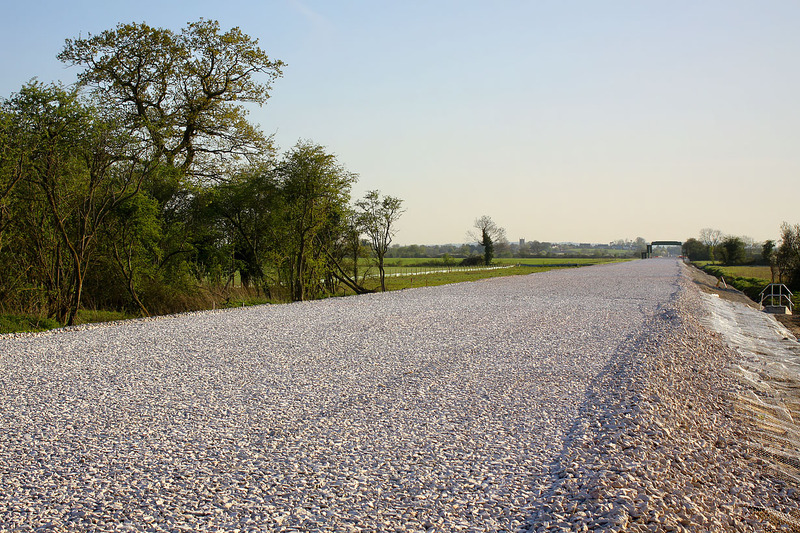 A broad expanse of fresh white ballast at Oddington, on the Oxford to Bicester line, pictured on the evening of 21 April 2015. This view is looking back towards Islip, with the tower of St Nicholas church visible on the horizon. This extensive engineering project is transforming the route into a modern high speed mainline.